This rather massive, mixed-use building contains 138 apartments, a school and considerable retail space. It is very convenient to public transportation and good neighborhood shopping. This area of Yorkville has changed dramatically over the past two decades and now has many high-rise luxury apartment towers. 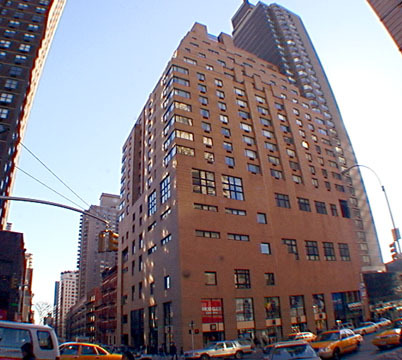 In 2009, two new condo towers were opened nearby on 86th Street, the Brompton on the southeast corner at 86th Street, and the Lucida on the southeast corner at Lexington Avenue. The 23-story, beige-brick building was erected in 1992 by the Olnick Organization. It has an attractive entrance, concierge, valet service and health club with pool. It has numerous terraces and its lower portion has irregular fenestration reflecting the special arrangements for the school. 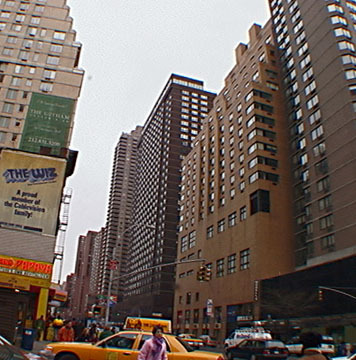 While there is considerable traffic on 86th Street, which has excellent crosstown bus service and an express subway station at Lexington Avenue, Third Avenue to the north has an impressive array of towers on the east side and relatively low structures on the west side that provide substantial "light and air" to the avenue. A cineplex is across the street in a very handsome apartment building and the William Doyle auction house is also nearby as are numerous schools and religious institutions in the Carnegie Hill neighborhood just to the west. The building has no balconies and no garage and is not close to parks. It has an attractive entrance, concierge, valet service and a health club with pool. It has numerous terraces and attractive masonry quoins enliven its facade whose lower portion has irregular fenestration reflecting the special arrangements for the school.